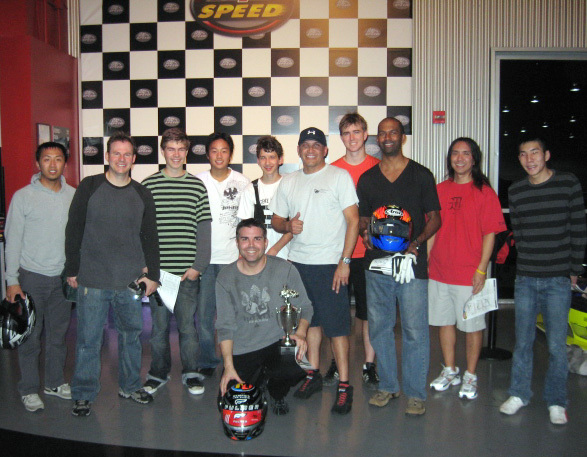 K1 Speed’s first Survivor Race was held at the Anaheim facility on Feb 28th, it was a great turn-out with over 50 racers attending this first for K1. The CHAMPIONSHIP FORMAT was: Groups of 12 racers, each group races a Grand Prix format race: 12 Lap Practise, 14 Lap Qualifying, 16 Lap Race. Top 5 of each group advance to Final. Top 12 racers advance to the Championship Final. Congratulations to Toby Rodriguez, the over all Champion winning the fantastic drifting helmet shown. Stay tuned for dates of the next chamionship. 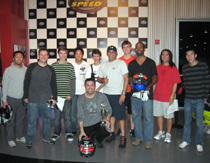 TOP DRIVERS COMPETE… 1 CHAMPION!